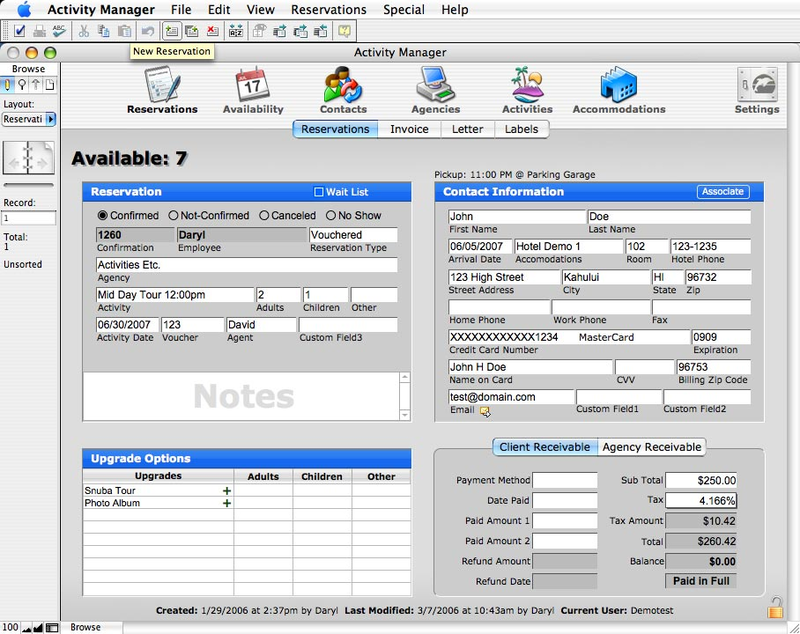 Activity Manager Pro is designed to meet the specific needs of activity desks and tour resellers. Allows you to create vouchered and/or referred reservations with or without pre-collected commissions. It has the added ability to manage multiple locations as well as an optional feature which allows built-in credit card processing. Activity Manager Pro is cross-platform, meaning it can be used with MacOS, MS Windows or a combination of both.